You’ve written your epic blog post, gone through the free SEO training, and are now ready to make it visually awesome too! The quickest and most effective way to do that is by adding some royalty free stock photos to it. But how do you know if you’re legally allowed to use images for your content? Before you go grabbing images and sticking them onto your content there are a couple really important things that you want to clear up first. If you get this wrong, you could be facing some very unwanted legal issues. Even if you’re grabbing images from Google images, beware. Just because you can grab them doesn’t mean you have a legal right to do so. In this post, I’m going to tell you how you can pick out photos with confidence by explaining how you can know for sure that you’re using images that aren’t owned by a third-party company or have an intellectual property attached to them. 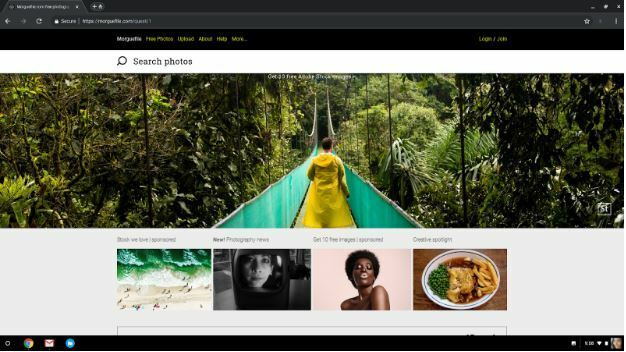 You are also going to get the 4 top sources for free stock photos, a few runner-ups, and a hack to find royalty free images from the largest image database in the world, Google! There’s only a few VERY large corporations that control the stock image world. If you accidentally or willingly use their images and you don’t purchase the rights to use them, they will absolutely sue you. I’m not trying to scare you but this is something that happened to a friend of mine and these companies will come after you. 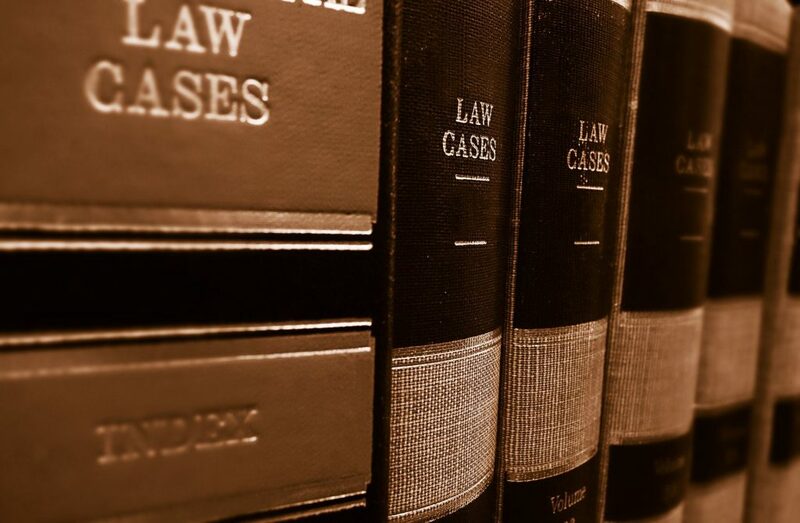 Everything you’ve been working towards can be halted to a standstill as you’re trying to settle court costs and fines. As your guide, I want you as a digital marketer or someone who wants to start their own online business to be very aware of this fact. Legal stuff is messy and you don’t want to be a part of it by nonchalantly pulling out a cute photo of a random dog on Google images for your blog post. You have to read the fine print, really make sure you’re not getting into a legal collision with people who created or put out those photos. That can save you from running into legal problems with those images. You probably know by now… I am not an intellectual property lawyer. However, I have done my research on free stock photos and in finding how to legally obtain and use images online. The first place to start doing a background check on an image is by heading over to the Creative Commons license website. This group has stepped up their game to create an internet standard for licensing, sharing, and attributing content on the web. 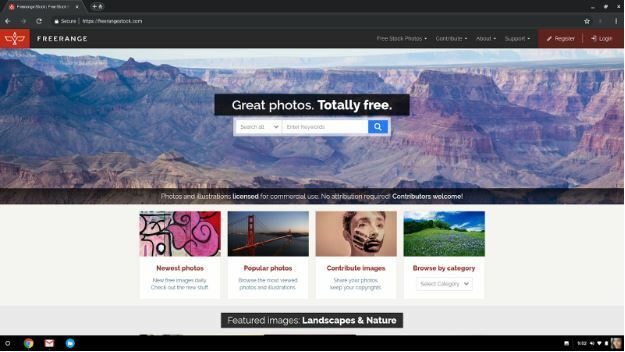 Now when you get to Creative Commons, you want to look for images with a CC0 license. It’s pretty much the same as the public domain, which is anything online whose copyright license has expired. This makes it legal to use and available for anyone who wants to use these images commercially. Another thing you need to keep in mind is even if you do use any of these free resources below there may be additional exceptions and regulations in order to use their photos. For example, if it’s showing someone’s face, you may need a model release form even if the image has a CCO license. You also may not want to use an image that shows a big brand name because you don’t know if you legally have a right to use it. For any free stock photo platform you use, check out the FAQs and head over to the “Can I use your images?” question to learn more about any exceptions to the rule or other policies and requirements for images with brands or models in them. You might want to reconsider using the image publicly if you’re feeling iffy about the little but important details about that photo. After you’ve reviewed all the fine print carefully, you should be good to go. You can search on any search engine platform to find images but this is incredibly risky. I would be very careful before doing this. The best route to go is to use one of the platforms that offer free stock photos. With any of these, you can either use them for free with limited searches or you can go with a paid membership. This is what my wife and I did, we were putting out so much new content that we ended up signing up for a subscription with one of the photo stock companies. So there is a time and a place for that also. But if all you need is a couple of images per week, you can absolutely find generic images that can enhance your content marketing. 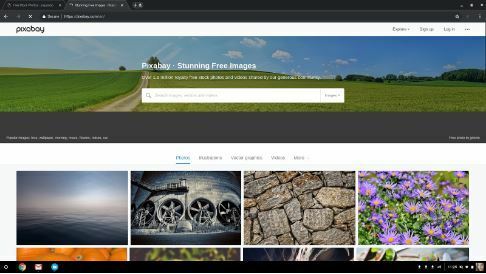 Any of the photos that show up at the top of the results once you are in the free stock photo site are usually affiliate images which are not free to use. You might see text on them or you may not, but they’re usually smaller and if you click on them they’ll send you to a different site. Those aren’t the images you want or ones you can use. The images you’ll be looking at are the larger photos underneath those affiliate images. When you click on them, you’ll get an enlarged view of the photo you clicked on. Great images make your content pop. After you’ve created your content the next thing you need is to dress it up. For your social media marketing, your blog post, good imagery can really make that content come alive, break up the text and bring relevance to the topic. Personally, I use the sources I’m about to reveal to you to get high-quality photos for my website. I’ve also paid to have more stocks photos when my wife and I were putting out a ton of content and needed a lot of images. So where can you find great free stock photos? Keep reading and I’ll take you through 4 best sources for free stock photos and 7 Runner Ups! I’ve been a long-time Pixabay user. The site is clean and easy to navigate and Pixabay offers tons of images to choose from. Whenever I need free stock photos, I usually find what I need right here on Pixabay. Free Images pretty much works in a very similar way as Pixabay. You type your keyword on the search bar and run it, and you get your results showing all relevant images to your keyword. Up top are related images from istockphoto, which is their affiliate link and you want to avoid that if you want free images you can legally use commercially. One thing I really like about this website is it lets you choose the orientation you want for the photo. Want a vertical image for your Instagram page? Or maybe you want a cool image of a running person set horizontally for your YouTube cover page or thumbnail. 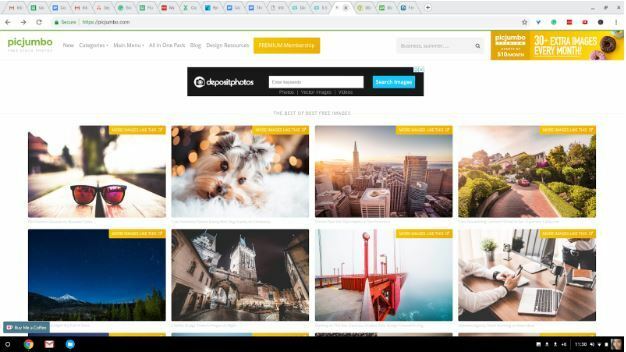 Change up the orientation of those free stock photos you’ve found on Free Images before you hit download and make it match the purpose you have in mind for them. What I like most about Pic Jumbo is how they show you a bunch of cool images on their homepage with “more images like this” yellow buttons that will take you to relevant images. There’s a search bar up top on the right hand side to help you refine your search. Now if you’re new here, you’ll notice there are two search bars. But you just use the one without the blue “search images” button because that one is for their affiliate site Deposit Photos. There is awesome imagery on Pic Jumbo that you can get for free. They also give you an option to go premium for a broader range of photo collection, never-before-published photos, and super high-quality images sent straight to your Dropbox. Unless you need a bulk of images per day, you don’t really need to go down the premium road. The ones they’ve got for free are really good and really high quality, so they’re more than enough for a small amount of image search each week. Just check the attribution or licenses your image of choice has to make sure you can use it publicly or commercially. Compared with the first 3 sources of free stock photos that I use, I have found that there tend to be fewer photos that generate in relation to what I’m searching for. However, there is still a large volume of photos that you can pick from. This free photo stock site offers more travel photography, nature imagery, and the like so if that relates to your niche then that’s even better. Quality-wise and in terms of the license, I would still recommend Good Free Photos to anyone looking for professional photos that won’t get you in trouble with lawsuits and all that. The creators give a little story behind the name, and they say it’s where you can keep post-production images for reference purposes. A morguefile is actually a term in the newspaper industry that pertains to files used for past issues. Morguefile was born in 1996, the brainchild of Michael Connors. What’s cool about this site is it’s a community-based site for free photos, so you can actually contribute photos if you have some cool stuff in your collections that you want to share. Either way, it’s a great resource for photos, and you can have a look around and maybe find that one thing or more that you need for your blog, thumbnail, or social images. 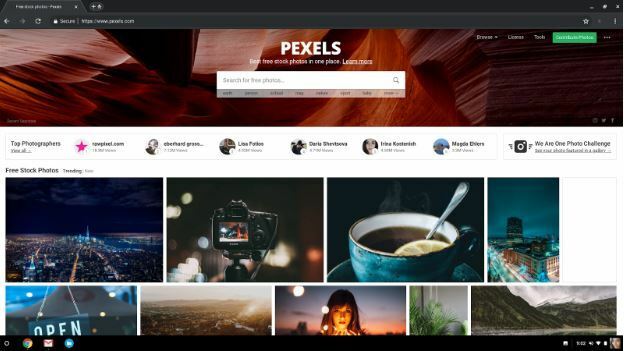 No more license checking necessary here on Pexels because they actually indicate on their website that all photos you can find on there are free for use commercially or non-commercially. No need to give attribution or credit to the site or the photographer. That should make things easy for you! Do whatever with the photos, modify them, use them in any way you want - it’s all on you. 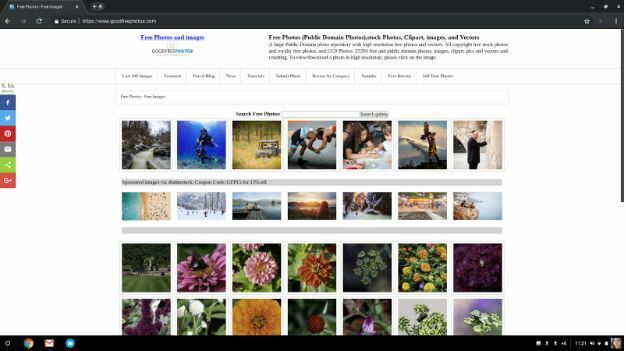 The site started in 2014 and they did a pretty good job making this cool resource for photo searchers clean, easy to navigate, and user-friendly. Photos are tagged and searchable, and you should be able to find the image of choice pretty easily. 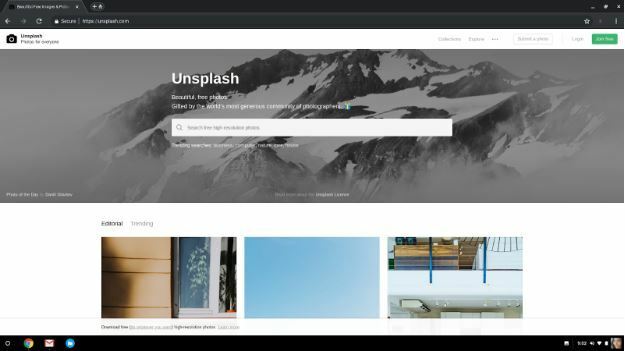 Another awesome place to find free stock photos is Unsplash. It’s got hundreds of photos and the collection gets bigger and bigger as more photos are added by the day. Just head over to the search bar on their site, type in the image keyword, hit search, and there you go. You can download the stuff you need and it’s absolutely free and legal to use. Freerange Stock is for everyone - creatives and non creatives who are looking to contribute or find photos they need for their online publication or personal purposes. Just as the name implies, free photos are available on here. Just get your keyword dialed in, type it in the search bar, and hit the blue search button to give you dozens of results. 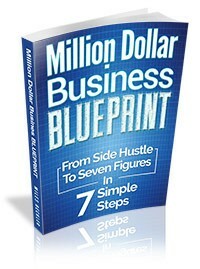 They also offer some kind of income opportunities for contributors. Each time users click on ads showing up right next to the photographers work, they make money this way. If you’re looking for quirky image, this is the place to be. You see pretty odd but totally creative free photos on here, more than in any other place on the internet. 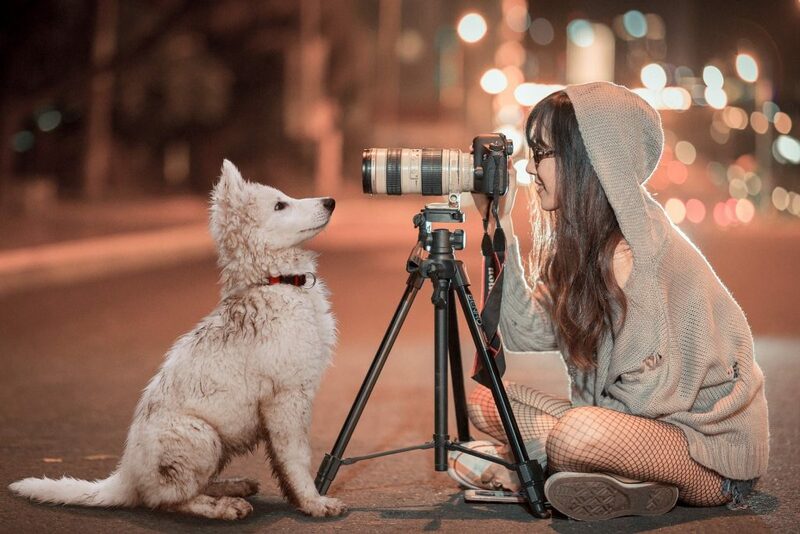 They even consider their site as the place to be for the “most creative pictures” and that “you won’t find (these quirky photos) anywhere else. Go have a look and use the search bar to enter your keywords. There’s quite a good collection available. 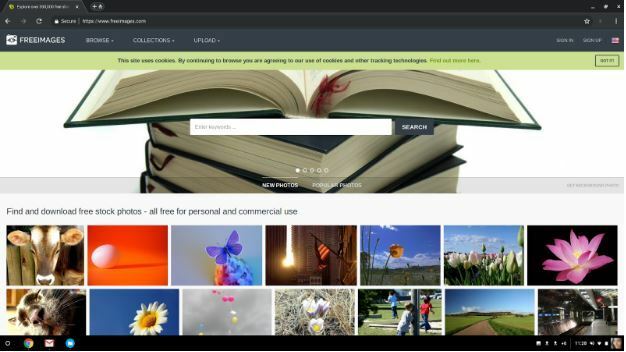 Simple interface, categories on the right side for easy browsing, freegreatpictures.com makes it easy for you to do your search. They have a good number of free stock photos available on here that’s perfect for your commercial or personal needs. They also have affiliate sites up top, so if you want to search for an image, just be careful not to hit those because they’re not exactly free. Big huge asterisk warning of if you do this wrong, you can very well grab an image from essentially a place you don't have the rights to use it. A little tutorial here and kind of a walk-through on how to get images with the type of rights you want. Say I want a running image. 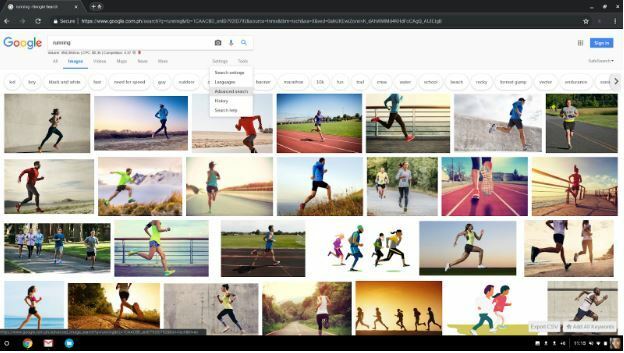 Run your search on Google Image, and you see it pulls everything up. 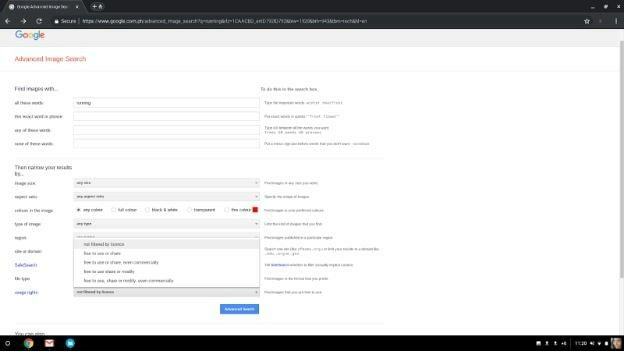 Click on the settings and go to advanced search to modify your search and get the rights you need to use an image commercially or whatever purpose you have in mind. Running is the keyphrase inside of the search bar and when we scroll down, you're going to see that there's this usage rights area. When you click on this, this opens a document that gives you the support doc. Read this, make sure you understand it if it’s free to use, free to share, free to modify even if it's commercially. Also, Google uses their search engine spiders and bots to essentially scrape the web to come up with this list of images. Google might get this wrong from time to time. You probably will want to go to the website that they're pulling the image from. Take a read around and make sure you indeed do have the rights and the ability to use that you think you do. You have to do the most research on there because they don't clearly spell out for you the rights information that you’re looking for. But if you want something super specific, it’s easier to find stuff on Google Images. Just be sure to check the licenses and all that legal stuff right off the bat. Using great images to make your content stand out and give it the look you want is the next step in making your content personalized and grab the attention of your audience. Any one or two of those best sources for free stock photos are great options for finding the images that best suit your needs. Just understand the lay of the land, the different licensing agreements, how the paid royalty image or the paid stock image companies work, and then how the free ones work. You can really easily find your way into your little niche to be able to go get some great imagery for your videos, your social media, your blog posts. Visit and understand how these 11 Free Stock Photos & Royalty Free Image sources work, and I’m 100% sure you will be able to find those killer imageries for your blogging, social, and content marketing needs. Relevant and high quality images will help increase the value of your posts. Your readership goes up, your time on page goes up because everyone enjoys visually appealing content. Now you know the trick to making your content more attractive for FREE. Let me know what you think of these sources I’ve shared with you and go ahead and let me know what’s your own experience in using them. If you have more ideas on the best sources for free stock photos that you’ve actually used, I would love to learn more about them, so just hit me up in the comments and let’s have a chat about it! I look forward to your emails and tips to get me through the day. Cheers Drew... Remember that we all started without much of a clue how it all worked... It was through trial and error (breaking things and figuring out how to fix them) that we all learned! Stick with it, definitely worth it once you get the basics figured out. Great one. I use mostly Pixabay and Unsplash. If I don't find on both sites then I go to google advanced image search. Thank you for this post. I will try other also. Those are definitely my top 2 choices, too! Thank you for all this information. I am just a grandma who is unable to hold down a job outside the home, and my husband and I both live off his small s.s. and retirement trying to make ends meet. I am looking for free pictures to trace and use on my wood burning boards to sale. I just started about 3 months ago. 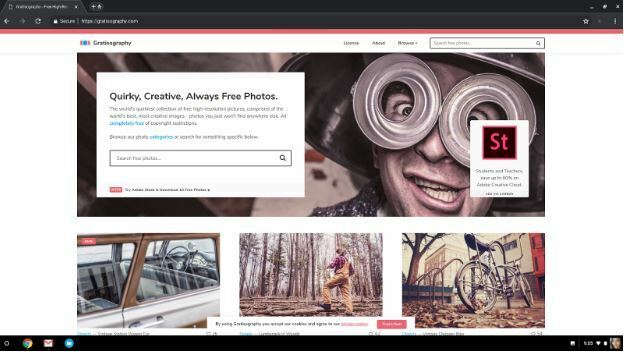 Pintrest said that their pictures were free to use and now say you can't use them. So I am looking for a place to find free pictures to trace and burn and not wanting to get in trouble doing it. My internet skills are few to none. So you are my hero. Thank you. I am very glad you found this post Kimila! These are my go to resources for free royalty free images… You should be able to find a lifetime supply of imagery you can use for your art here! 🙂 Happy holidays!